In 2015, 1,177 people were killed by police in the U.S., according to a report by the National Post. Other organizations have reported varying numbers, and all have been alarming. Since the abolition of the stop-and-frisk law in 2013, online surveillance is increasingly used to monitor and detain “at-risk” youth of colour. When police use social media to surveill teens in targeted areas or “ghettos,” it leads to disproportionate over-policing of specific geographies based on biased police perception of “tensions” and past trends of violence—in reality this is thinly-veiled racial targeting. Stop-and-frisk is a tactic police used as a legal means to stop citizens and ask that their pockets to be emptied—without having to apply for a warrant. In the 2013 landmark Supreme Court case Floyd v. City of New York, Judge Shira A. Scheindlin found stop-and-frisk to be unconstitutional under the 14th amendment. While instances of stop-and-frisk have decreased, officials such as New York City mayor Bill de Blasio, have entertained the possibility of reinstituting it under the condition of reform. The power of a reform strong enough to reverse an exhaustive history of police brutality and instituted racism is hard to believe, and would be even harder to swallow. Likewise, it would be naive to think the unconstitutional status of stop-and-frisk alters the course of racially discriminatory policing in America. 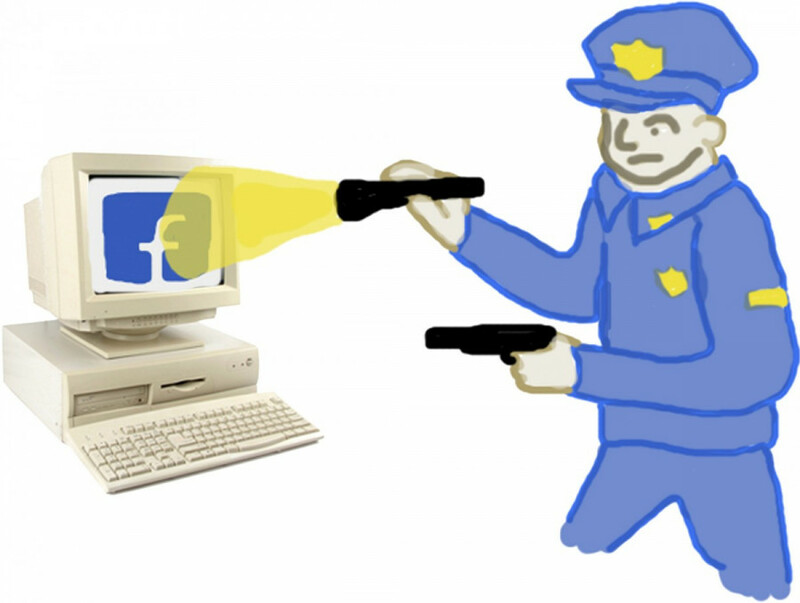 Evidence of social media surveillance techniques, which have arguably picked up where stop-and-frisk left off, can be seen in the 2013 creation of Operation Crew Cut (OCC). This sector of the NYPD boasts a 50.6 per cent drop in homicides by 13-21 year olds within target areas of five boroughs. This brief falls short of critically analyzing circumstances that lead to the disproportionate amount of homicides among teens in projects, nor does it assess society’s role in this trend. Instead, “gleaning” information from social media just leads to further pigeon-holing of a population and further perpetuating mass incarcerations. Just prior to the announcement of the OCC program in 2013, a document was leaked containing the names of youths and their potential connection to more than 300 gangs. This means that children as young as 12 were potentially going to have their online presence monitored; and once they reached age 16, this same information could be used to try them in an adult court. To monitor users on this list whose Facebook (and otherwise) profiles were set to private, officers were reportedly encouraged to create fake profiles and attempt to ‘friend’ the youths under surveillance. The majority of raids in low income boroughs of Queens and the Bronx result in mass indictment on conspiracy charges. In the case of Jelani Henry, a Harlem youth detained under conspiracy charges for association with a gang connected to a murder, this meant awaiting trial for two years at Riker’s Penitentiary. The case never went to trial and charges against Henry were eventually dismissed; he and his family were never offered compensation. While the NYPD boasts fewer homicides since the OCC’s conception, “police and prosecutors have conducted 25 investigations throughout the five boroughs resulting in more than 400 crew members indicted for crimes including murder, robberies, assault, and weapons possession,” these figures seem dubious. Who is vilified and ensnared unrightfully, and how does mass entrapment play into OCC? If Black and Latino teens living in New York City projects are detained en masse, surely some proportion of violence will decrease, but at the loss of an entire sector of the population; this tactic—targeting social profiles of teens living in impoverished neighbourhoods—ignores the all-encompassing reality of the situation. Methods such as this often lead to mass arrests and holdings of teenagers without sufficient evidence, and many youths may end up awaiting trial at detention centres like Riker’s Penitentiary for undetermined amounts of time. Little evidence shows that this is an effective method of slowing youth-on-youth or socioeconomic violence, beyond just shrinking the base of free young Black men in America. In a street survey funded by the University of New York in 2003, 911 youth aged 16-21 were interviewed on their perceptions of police concerning safety and comfort versus evidence of mistrust and harassment. A sub-sample of 36 youth were interviewed on police presences. Three categories resulted, 50 per cent of the sampled were critical of police practices, 25 per cent were in support, and 25 per cent expressed strong negative viewpoints. Finally, police supporters cited only positive assessments of the increased police presence: “more officers, less crime,” or “I feel safer.” Females offered a slightly more positive assessment of the police than males. Aside from a fundamental mistrust between the youth and police presence that is outlined with this data, resonating within many of the surveyed voices there seems to be a poignant uncertainty with how to resolve the issues. There are obvious power differences between the law enforcers and the youth, which perhaps serves as a major limitation to dialogue between the two bodies. Beyond institutionalized racism, the limitation of the power of youth and a question of empathy from officers as a power entity come into play. As we have seen time and time again, police sanctioned public safety tactics result in racially exploitative, violent arrests, and do not curb perceived inner-city gang violence, but instead annihilate human lives. Perhaps it is time for this unreformed and unrestrained body of law to sit down and learn from localized empowerment movements, which teach youth to believe in their value and work to take back, and eventually overthrow, systems of oppression. As technology is now embedded in our society, its use in police work is not surprising. However, social media surveillance—and the very statutes that police presence is supposed to uphold—will have to be publicly criticized, or face risk of repeating a history of lawless exploitation in impoverished and racially segregated neighbourhoods. Taking the Pulse or Inducing It?